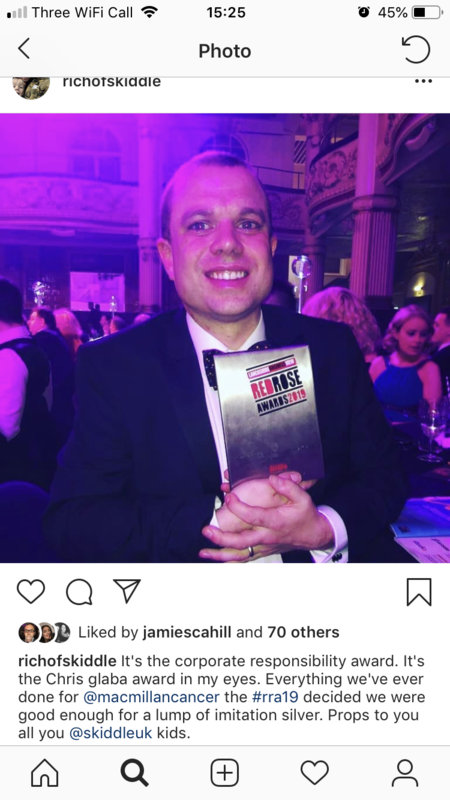 This time a fortnight ago we were nursing some very sore heads from a glamorous & dare we say it, alcohol fuelled night at the Red Rose awards 2019 @ Winter Gardens, Blackpool. We were up for three awards, the Customer Service award, Ecommerce Business Award and the Corporate Social Responsibility Award. A group of Skiddle representatives attended finalist interviews over a month prior to the awards night and had presented our pitches for why we should win each accolade. On the night, we were sat on table number 91, right at the very back. Now, I don’t know about you but we took this as a bit of a bad sign so instead we focused on having a good time. 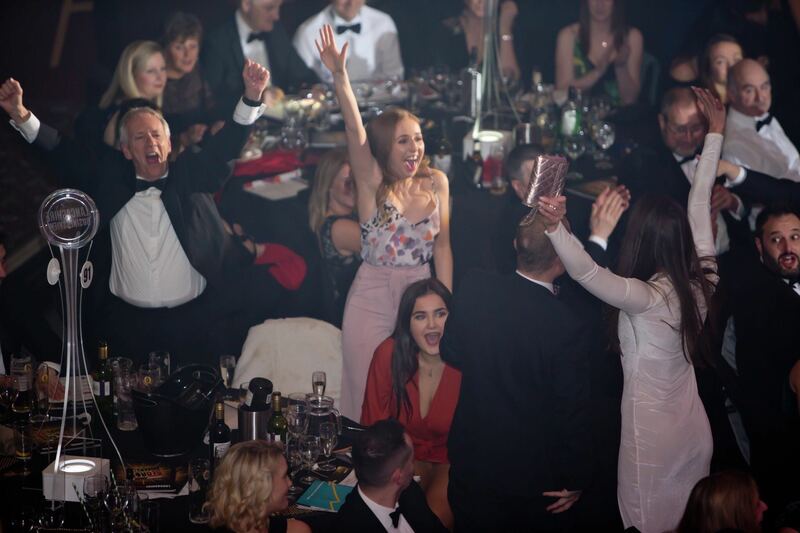 When it came to the Corporate Social Responsibility award it’s safe to say we were all suitably sloshed. This is a particularly special award for us to have won following the loss of our dear friend and colleague Chris in 2016. Since then we’ve been raising money for Macmillan via our charity check-out scheme along with numerous other fundraising events both internally and externally. Numerous members of the Skiddle crew will also be completing the Inca Trail in Peru later on this year to raise money for our other charity partner, Alder Hey. Another cause that’s close to our hearts after our technical director’s (Ben Sebborn) daughter was involved in a tragic accident and was nursed back to health by the wonderful team in Liverpool. The CSR silverware now sits pride of place on our awards shelf at Skiddle HQ and will be a constant reminder of just why we’ll continue to do as much as we possibly can to raise money for our two chosen charities.